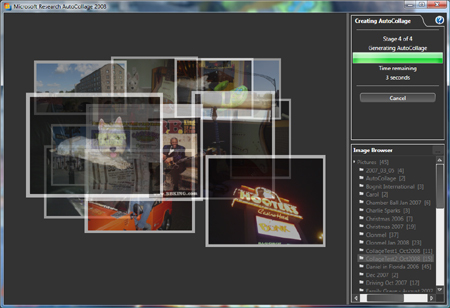 Here's another new toy I stumbled upon - the new AutoCollage tool from Microsoft Research. 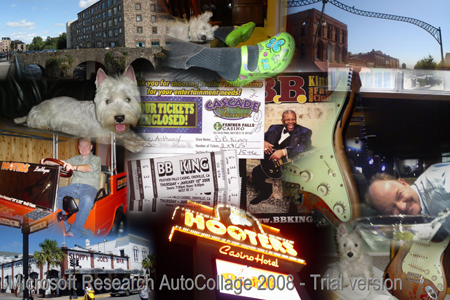 This is a very easy-to-use image processing program which will automatically create a polished collage from a folder of your favorite pics. This is a really handy way to create personalized Christmas cards on the fly and avoid the shopping lines at the mall! All you have to do is pick a folder and click a button. Download the one month trial here. Check out the latest version of Pro Photo Tools from Microsoft. It's free to download and play with. 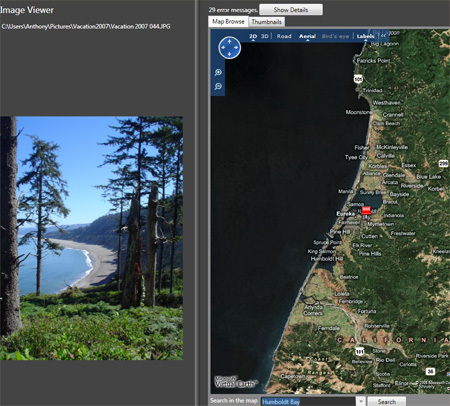 It's a set of pretty basic but useful tools enabling you to geotag and geocode your pictures in a very cool way: just drag in your image to the map and the GPS coordinates will be calculated automatically for you. 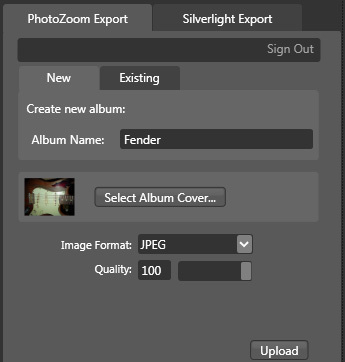 Add a whole slew of other data to your image before saving it back to your folder. 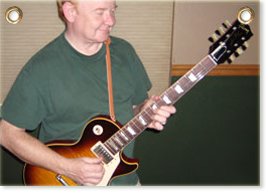 The product can also interoperate with Photoshop and has support for 64-bit Windows. 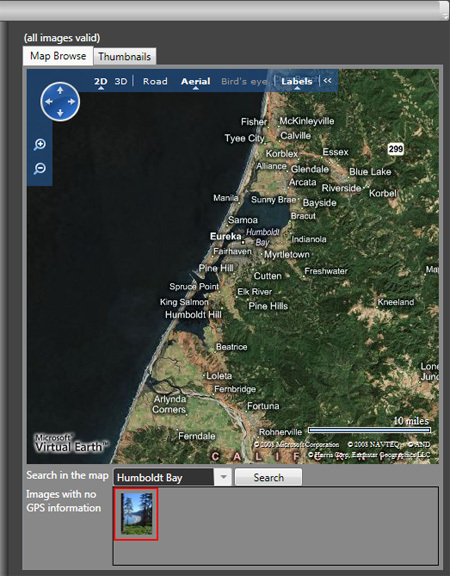 * Use Microsoft Virtual Earth for a 3D view of the image location.